During the last weekend before the 2018 midterms, the media decided an ad by President Trump was "racist" and therefore refused to air it. CNN, NBC, Facebook and even Fox News took that position. The "star" of this commercial is Luis Bracamontes, a Mexican citizen who has repeatedly entered America illegally and who shot two California police deputies dead in 2014. In January, Fox News aired footage of Bracamontes boasting in court: "I don't (expletive) regret that (expletive). The only thing that I (expletive) regret is that I (expletive) killed two. I wish I (expletive) killed more of those (expletives)." But CNN and MSNBC didn't cover it as news. They covered it when Trump used the footage in his ad. They didn't grieve for the families of the two dead deputies. They didn't worry about the problem of crime by illegal immigrants. They worried about Trump's tactics. Trump's ad played part of the Bracamontes clip, and a narrator said: "It's pure evil. President Trump is right. Build the wall. Deport criminals. Stop illegal immigration now. Democrats who stand in our way will be complicit in every murder committed by illegal immigrants." CNN's Poppy Harlow was aghast and asked, "Is this politics at its worst?" MSNBC's Kasie Hunt asked Sen. Michael Bennet for his response. "I say it's appalling. I don't say that as a Democrat or as a senator," Bennet lectured. "I say it as an American and wish that we had a president who actually was trying to bring the country together rather than dividing us." As if former President Obama and the Democrats gave America a blissful eight years of unifying moments? Black Lives Matter and Occupy Wall Street were about as angry and divisive as they come. But Bennet and Co. didn't have a problem in the world. These militants and anarchists were celebrated by liberals and their media adjuncts as part of a glorious progressive future, no matter how many laws they broke. But when an illegal immigrant shoots and kills two law enforcement officers and brags about it, bringing it up is somehow divisive. Why couldn't we unite as Americans around the idea that illegal immigrants shouldn't be killing our cops? Why can't the "news" networks define that as news, and not as inflammatory content to be banned? Why doesn't the president of the United States have the right to talk about this, not by others' standards but his own? Then consider the newspapers. A search for Luis Bracamontes on The New York Times website finds 20 mentions in the last five years -- and 18 of them are from Nov. 1 forward, centered on the new Trump ad that he debuted on his Twitter account. The ad intersperses the Bracamontes clips with footage of the caravan of immigrants marching through Mexico. Trump's ad incorrectly states that Democrats let Bracamontes in and let him stay, when he illegally entered the country under both Democrat and Republican presidents. But it's not the bad facts that they're finding offensive. They're too emotional to deal in facts. The ad is "racist" because it's seen as an attempt to scare white voters into choosing Republicans. CNN's Don Lemon picked up where his network left off, saying: "this horrible guy who is a convicted cop killer, you know, mouthing things in court and smiling. It just -- every racist immigrant trope that you can think of is in this ad." 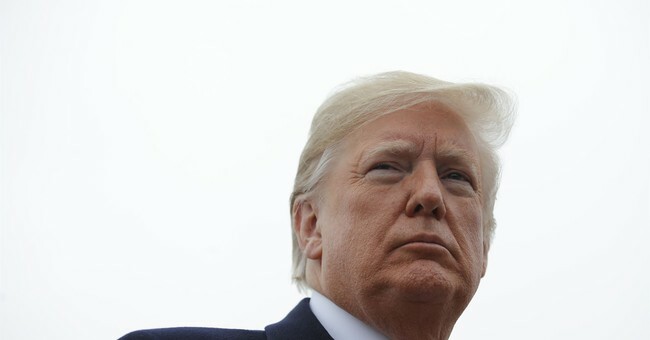 NBC's Peter Alexander said, "the president is facing sharp condemnation for what critics call fearmongering and racism by promoting this web video trying to terrify Republicans to vote." Haven't CNN and NBC and the other networks just spent two years making videos to terrify everyone into voting against Donald Trump and his alleged enablers? Haven't they been divisively fearmongering about "democracy dying in darkness" through this entire presidency?